BMW wants to make sure you can always be connected with your vehicle, which is why they have the BMW ConnectedDrive system for your smartphone. 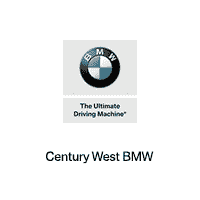 At Century West BMW, we will help you understand all of the functions of this system, showing you all of the benefits to expect with this advanced system. ConnectedDrive makes sure you can have peace of mind at all times. With features like time to leave notifications, the ability to check your fuel or charge level, and Amazon Echo and Alexa integration, you will always be ready for the road ahead. You can continue to use this app when you are in your vehicle so that you don’t need to be distracted by your phone. Voice activated navigation, music control, and schedule updates will help keep your day running smoothly. Most people carry their phone with them wherever they go, and this app will keep you updated with all of the information about your vehicle. With on-street parking information, a remote 3D view, and a vehicle locator, you will never have to stress about your vehicle while you are enjoying your day in Beverly Hills. With Many Perks of Staying Connected, What Are You Waiting For? With a variety of services that you can use in your home, in your car, or around town, we are sure that ConnectedDrive is a great choice for a new BMW in Hollywood. Our team is here to answer all of your questions and to get you set up with ConnectedDrive services. We encourage you to visit us soon so that you can start enjoying the benefits that this system provides. 0 comment(s) so far on What is BMW ConnectedDrive?